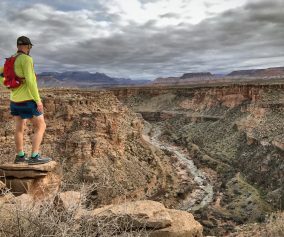 What are the most common mistakes made in ultrarunning? From rookies to veterans, the common mistakes are what lead to less than satisfactory finish times or plain old DNFs. The following are pretty universally accepted as common mistakes made in our humbling sport. I throw in some ideas from my own experience below each of these with regard to my best advice for avoiding these common pitfalls. Run long and prosper! The “right shoes” are the ones that don’t give you problems. The only way to know what you should be wearing in various distances is to train extensively in your choice of shoes. 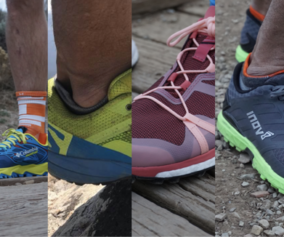 Over time and through training, you will see the inadequacies of your shoes and develop the confidence to know whether they are sufficient for ultrarunning. Some shoes will work well after getting wet, or a careful choice on socks will make them work under those conditions. 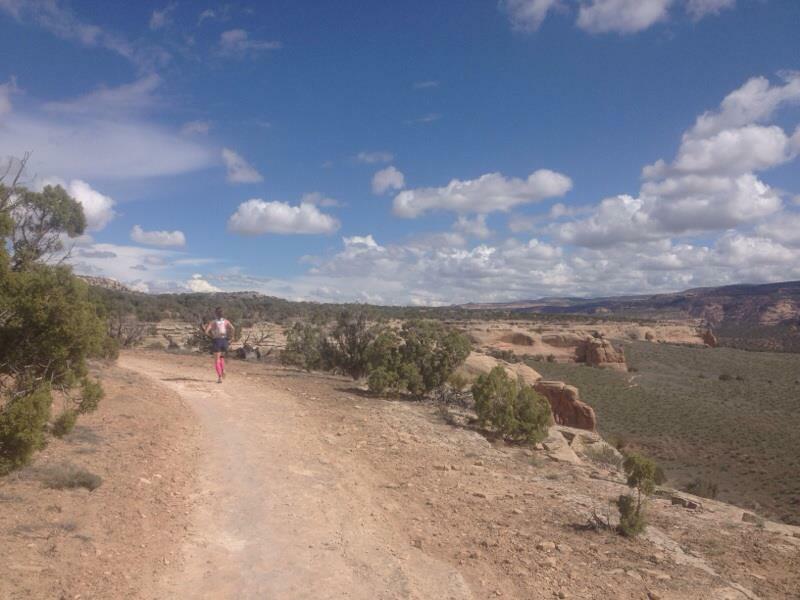 So, whether you are running a 50k or a 150 miles, you must train long hours on the trail in conditions similar to that of the race you are preparing for. Only then will you know that the shoes you are wearing will not create problems for you. Incorrect shoe choice can lead to debilitating issues in ultras like blisters, injury, or intense pain. Avoid this common mistake by training in your shoes and never changing anything right before an event. Tip: In longer races (50 mi or longer), it may be wise to change into a larger pair later in the race. Your feet may swell over time and a slightly larger pair of shoes will accommodate your slightly larger feet and give you greater comfort. Anything can be a small problem in ultra. In this sport, however, small problems lead to big problems over the time/distance of the race. 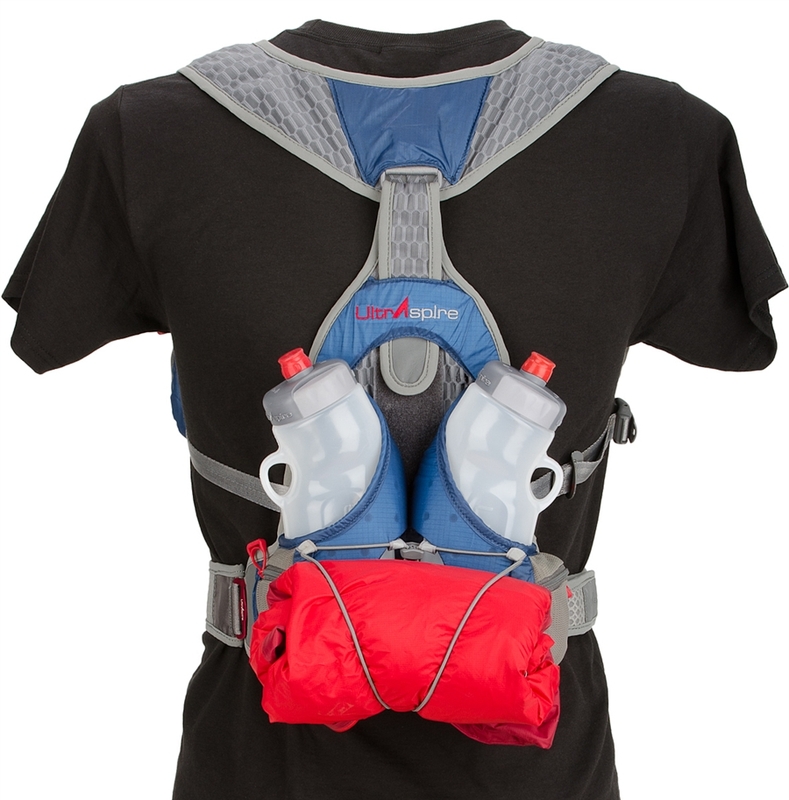 For example, a buckle on your waist-pack might be rubbing your hip a little at the beginning of a 50 miler. You ignore it and push over a few hours only to discover blood dripping down your shorts. The pain intensifies and nags at you all day long. Then it takes a week or more to heal. Another common one is hot spots in your shoes. If you feel a “hot spot” on your heal or achilles, you are feeling what will eventually become a debilitating blister. The friction between your skin and your shoe/sock is creating heat which will eventually become a fluid-filled blister. From my private collection, a photo of a blister earned during a 12hr track race in 2005. The remedy to small problems is to acknowledge them early and take whatever time is necessary to fix them. The early hours of an ultra may feel hurried and the exhaustion has not set in. It is for that reason that small problems get pushed aside. Hours later, the small problem is huge and you are forced to deal with it. That can take much more time and frustration mounts when we are tired and stiff. So, avoid it all and fix any small problems when they first pop up. Problem solving is a huge factor in ultrarunning. This is something all ultrarunners deal with in some capacity. Tip: Track ultras (6hr, 12hr, 24hr) timed races usually performed on repeated loop courses are a great way to learn problem solving with regard to your physiology and/or equipment. Hydration is not just about water. It’s also about your electrolyte balance. Your body has a range of tolerance for this but once you get depleted, your myocardial (heart) and neurological processes can be deeply affected. These problems are caused by imbalances in levels of sodium, potassium, and/or calcium. (1) Dehydration, the excess loss of body water in conjunction with electrolyte imbalance (2) can lead to things as minor as an elevated heart rate and slower running pace, but much more serious conditions can develop as well. 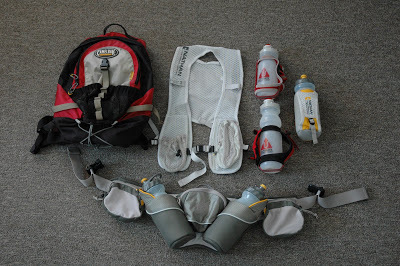 Managing hydration through a balance of water and electrolytes is crucial to your successful performance in any ultramarathon It should be noted that your hydration and electrolyte balance begins way before your start the race. You should be evaluating your intake the week before a race so that your intake while running is merely an effort to maintain the balance as long as possible. Pedialyte is still an excellent choice for ultrarunning. Individual packets of powdered Pedialyte are available and can be carried easily and added to water during races. Finding the balance between fluid and electrolytes with respect to the weather conditions and one’s physical effort is not easy. For this reason, the effort to avoid dehydration completely is almost impossible in ultra. The goal for ultrarunners is to find a balance of intake that still allows the runner to continue running and/or moving toward the finish. Without a doubt, dehdration and electrolyte imbalance belong in the top common mistakes even though they are a constant battle for everyone in this sport. Tip: Wal-mart sells a generic pediatric electrolyte fluid in their baby section that is formulated the same as Pedialyte. The Wal-mart version is 1/2 the cost of the brand name. 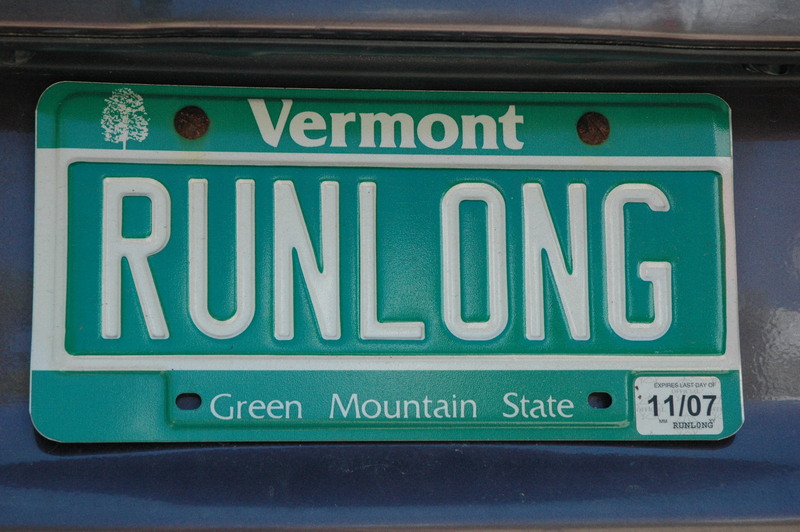 A common mistake for runners coming from road marathoning is the focus on pace. Road runners talk about pace per mile much more than ultrarunners. In part, this is because road marathons can be very much similar to each other giving greater importance to a runners’s given pace. 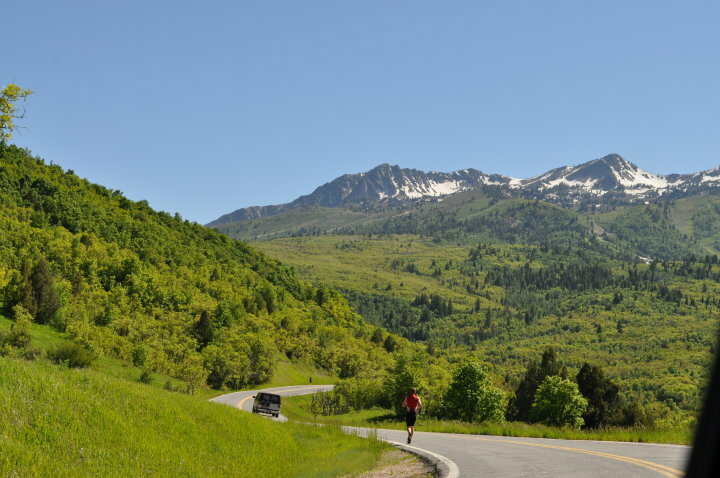 In ultra, the pace varies because of factors not commonly found in road marathons. Those factors include elevation gain, rugged trail, steep climbs, water crossings, aid stations, bathroom breaks, gear adjustments, electrolyte/food intake, night running, etc.. The “pace” is a mathematical average of how fast you move through the course and deal with the obstacles brought forward by the course and your physiology. It is not just the running speed…Your actually moving speed in pace/mile may actually be 10-11 min/mile but when you consider the various pauses over these long distances, the total average pace is no longer 10-11 min/mile but much slower. Just like every distance of competition, ultrarunners often take off way too fast from the beginning of the race. This is common in ultra just like the local 5k. Runners are excited, they feel confident, and they set goals for themselves. Adrenaline often masks the feelings of effort more easily recognized in a weekend long run. It’s not a weakness of runners to surge from the beginning of a race….but it is a clear sign of a lack of experience. 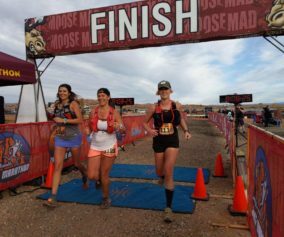 Two types of runners surge off the front at the start of an ultra…among them is often found the eventual top finishers of the race, and of course, a group of runners who are sure to crash and burn. If you’re not sure which one you are with 100% confidence, you should be jogging out of the gate with everyone else. 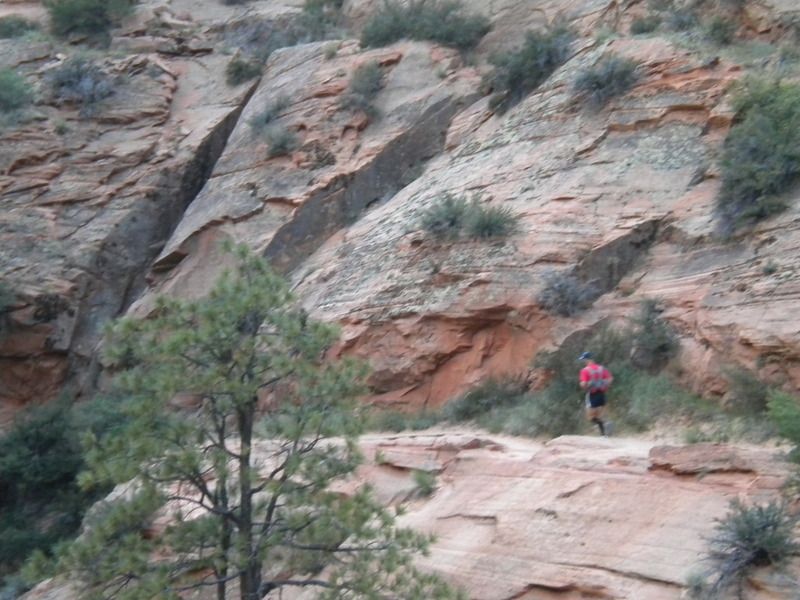 In ultrarunning, it is always important to start slower than you think is necessary. The longer the ultra, the more this matters. You should find an effort that is comfortable, almost too comfortable…an then be patient while time and distance bring your effort into reality. I am as guilty as anyone else…but I can say to you without any hesitation that running too fast from the beginning of a race is very common mistake you must make every effort to avoid. Tip: Consider getting a Lactate Threshold (LT) test to accurately identify heart rate zones. Using a heart rate monitor in training will give you a clearer picture of where your heart rate reads during long extensive runs. Rather than focusing on pace, you can take this knowledge of heart rate and apply it to long races. You may notice an elevated heart rate at the start from adrenaline, which you can adjust for because the numbers do not lie. 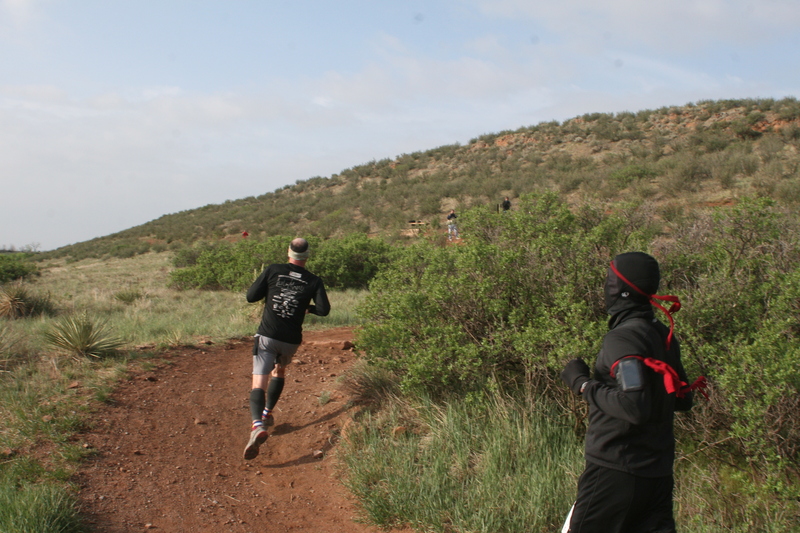 This is a great way to pace yourself in ultras, especially in the first 1/2 of the race. We learn more from our mistakes in this sport more than anything else. In ultras, especially longer races, it is perfectly acceptable to drop out and DNF by choice. For 7 years, I did not have a DNF. I pushed through extreme discomfort, swallowed my pride, and refused to DNF. Last year, however, I chose to DNF at the San Diego 100 around mile 82 when I couldn’t fix my nausea. 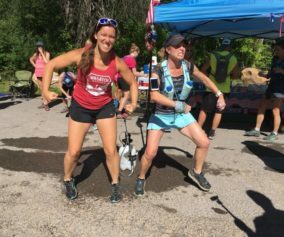 Months later, I found myself in the same situation at the Leadville 100. The same nausea was upon me but this time I refused to stop. Despite feeling like death, I marched on and learned that eating a bit of solid food or bread was alleviating my problems (acid stomach). I was reminded how important it is to push through problems on the trail because the learning process is found in the pain and dark times out there. When you start these races, make sure that one of your goals is just to finish. No matter how strong you think you are, you may find yourself pondering the idea of dropping out for any number of reasons. Remember that when you DNF by choice, you are likely giving up a great opportunity to learn something important. Don’t quit too early. As long as there is time in the race and you are within cut-offs, keep going and focus on the steps ahead. You may or may not finish the race the first time you try, but never stop. 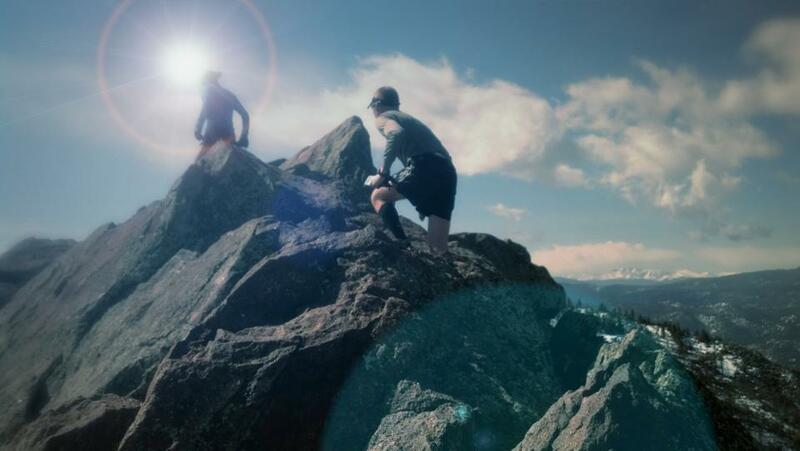 Develop the never-quit attitude from the beginning of your ultra career and you will gain the experience needed to be successful in this sport where we make the impossible look easy. Great article Jerry. Right on! Anyone who has run an Ultra (regardless of distance) will agree with these 5 mistakes. They should become part of the commandments of Ultra Running. “Thou shalt not quit early” or “Thou shalt balance thy Pace”. 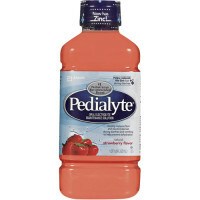 I’ve found that Pedialyte (or generic Pedialyte) will bring me back to life after a race or a long run on a hot day. (I buy the plain and add some Crystal Light Pur powder for flavor…and serve it cold.). During the race I use S-caps – I like to keep my electrolyte intake separate from the rest of my hydration & nutrition. Great article! Especially #5! Thank you so much for the article is really helpful I’m going to run my first 50k and you make me feel stronger now !!! Great tips I’ll follow every step. Great article! Thanks, getting ready for my first ultra on sunday. A little advise for mistake number 2. I hope it will work. Do not decide whether you´re going to run or not today until after you’ve put on your running gear. Dress up, put on your running shoes and then ask yourself if you´re willing to go out. And if you´re not, just remember, you´re already dressed for it, perhaps you should reconsider!